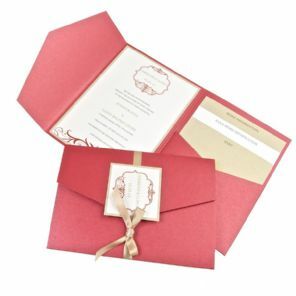 The Charleston design is available as both a pocketfold or a wallet. Therefore if you have less information to give your evening guests, we suggest you opt for a wallet. 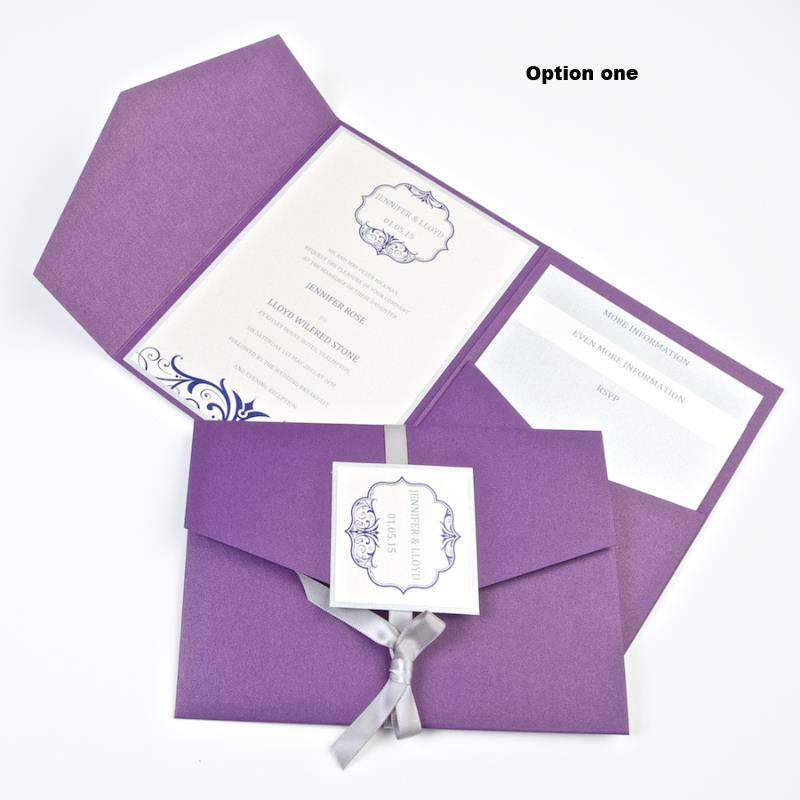 Pocketfold Invite: Sold with a fully printed invitation mat, 2 fully printed inserts, a double-sided RSVP postcard and an envelope. 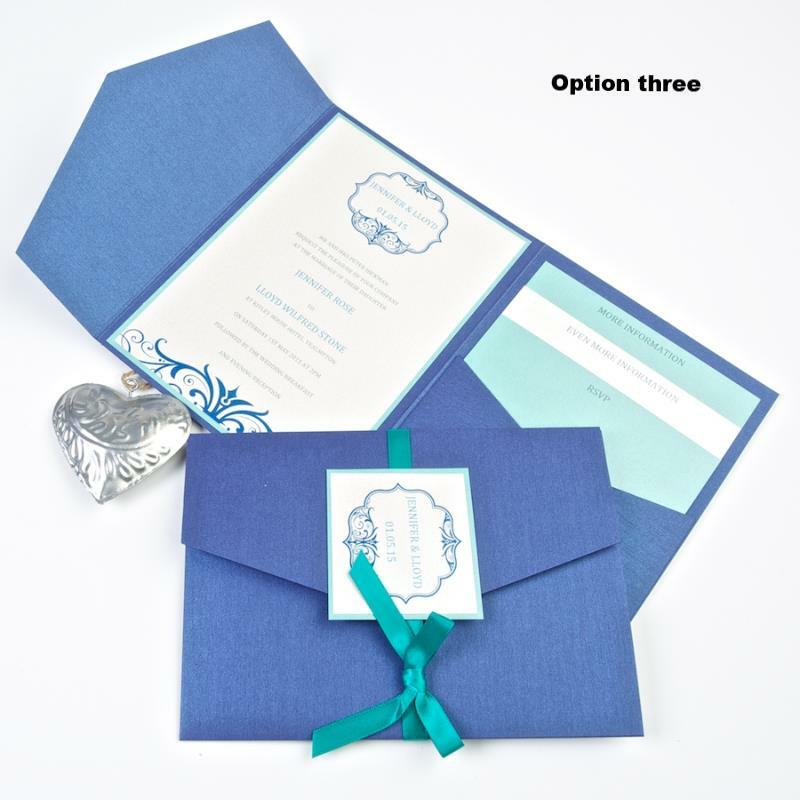 Wallet Invite: Sold with a fully printed invitation mat and an envelope. Once you have placed your order please email us your wording together with your order number and we will get back to you with PDF proofs for your approval prior to production. The order arrived yesterday - thanks for employing a sensible courier who delivered them next door since we were out at the time. They look fantastic, a really great, very smart product, absolutely spot on - everyone is really pleased with them. We'll probably need a small number of additional invites in a couple of weeks time, depending on how the first round of invitees respond. We'll be in touch as soon as we know what's required.